The yearly on-going SharePoint Saturday Vietnam (SPSVN)returns in a much bigger scale and impact, especially with the presence of SharePoint Guru Duane Wrobel flying in from USA, who is SharePoint Architect with 20 years of experience in IT. 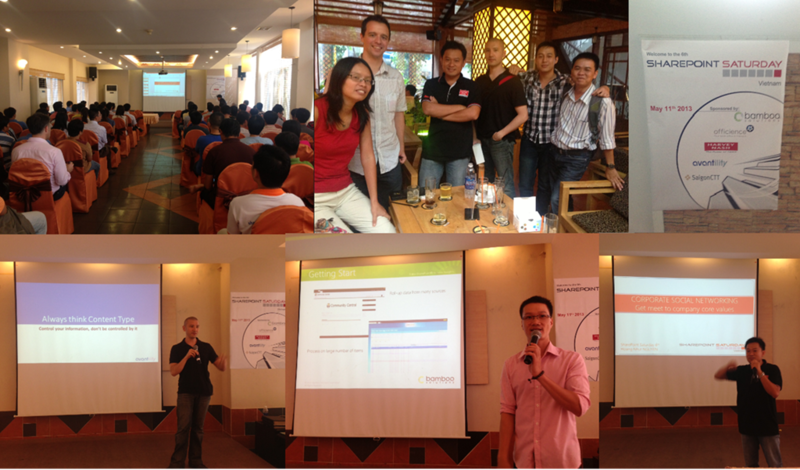 Held on May 11 at Ho Chin Min City, this year’s SharePoint event focus primarily on SharePoint 2010 and 2013 and the event itself has attracted more than 100 people in attendance. Organized by Vietnam SharePoint Server MVP Nguyen Ngoc Thuan, there were a total of 3 speakers (Hai Nguyen, Nhut Nguyen and Duane Wrobel) who covered topics from ‘Best Practices to improve performance and security for SharePoint Web Part/App’ to the ‘Effectiveness of Social Networking in helping Companies meet their Goals with SharePoint Platform’, and lastly key takeaway on ‘Always Think Content Type’ for administrators and developers.